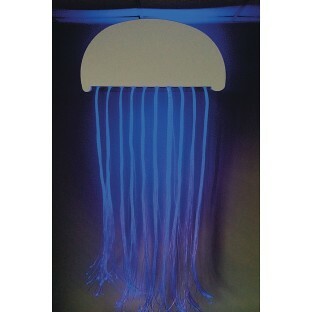 Go on a visual and tactile adventure under the sea with our new Superactive Fiber Optic Jellyfish! A perfect addition to any sensory room, the Fiber Optic Jellyfish features 150 “tentacles” of vibrant, glowing fiber optics. 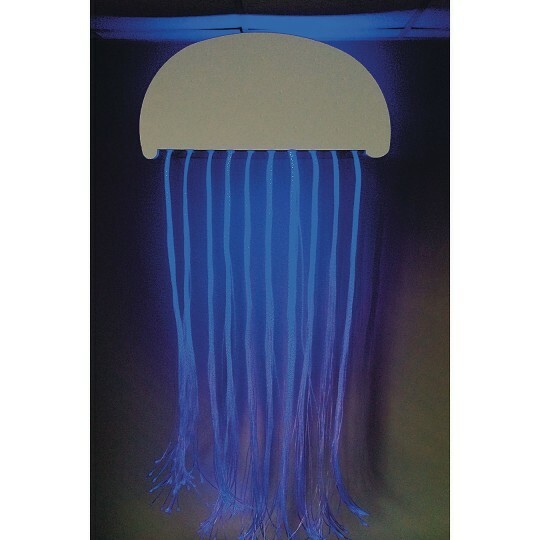 Completely interactive, the Superactive Fiber Optic Jellyfish could be used for distraction, social interaction, or to encourage motor planning and fine motor skills through the use of the standard wireless controller. This 8-button controller allows the user to select any of 8 colors visible from the fiber optics. This wonderful feature allows consumers to create a sensory workout and can be great fun in a group setting. The wireless controller will operate from a distance of up to 90’. 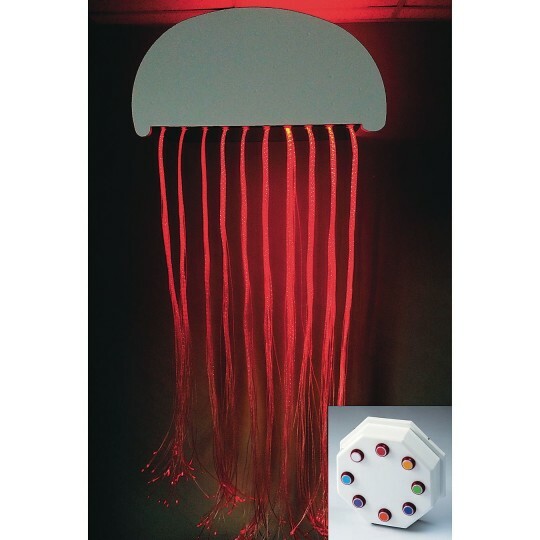 If you wish to create a relaxing and de-escalating environment, the Fiber Optic Jellyfish will enter a passive mode if a button is not pushed for 5 minutes. Then, the colors will slowly change in a serene, calming pattern. Because the fiber optics has no electricity in them (only light), it is safe to move among them. Perhaps pretend to be caught in the Jellyfish tentacles or just to get up close to the light and feel the strands for a tactile experience. Look up, and you will see yourself in the mirror that is mounted underneath, watching the tentacles go off into the distance! It creates a truly immersive experience. The Fiber Optic Jellyfish was designed from the beginning to be extremely easy to install, and it folds for easy, compact shipping. It comes complete with 150 strands of fiber optics, a high quality light source and low voltage transformer, and all the necessary hardware to mount onto a wall with drywall construction. If your wall construction is brick or block, your installer or maintenance department will need to provide suitable wall anchors. Measures 16”H x 34”W x 11”D and weighs 29 lbs. The Fiber Optic Jellyfish is also available in Calming (19324) and IRiS (19344) versions.